We have played at loads of Function & Wedding Band Venue Woodlands Hotel Leeds over the years, but one of our favourite has to bee The Woodlands Hotel in Leeds. Its a fantastic Wedding Venue just 20 minutes away from Leeds City Centre, when you are in amongst the venue and its grounds its hard to believe you are so close to one of the UK’s Major Cities! The Marquee were the wedding breakfast and evening reception is held is a permanent fixture that us up all year around. Vibetown have played at many Function & Wedding Band Venue Woodlands Hotel Leeds at this venue before and it is always great to make a return! The venue does have a sound limiter and strict 10pm curfew for live music, however we’ve never found this to be an issue when playing here. The Woodlands Hotel really is one of the best Wedding Venues in Leeds! “…Woodlands also offers a stylish and contemporary functions venue for all kinds of social and business events. Our three stunning event spaces are suitable for everything from wedding ceremonies and receptions, to corporate meetings and events. The permanent marquee, attached to the hotel, can accommodate up to 150 for dining and 200 for evening parties and receptions, making it one of the most elegant settings for a wedding venue in the Leeds area. 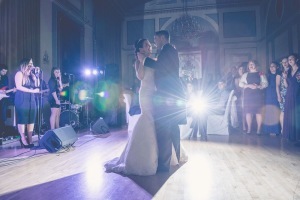 You can search back through our blog posts to see that we have played at numerous Weddings & Private Function events at The Woodlands Hotel, such a cool venue and highly recommended!